After his new movie was downloaded more than a million times after being leaked in December, the producer of The Hateful Eight has directed his displeasure towards Google. Richard Gladstein suggests the search giant has the ability to wipe out piracy but is throwing up a 'fair use' smokescreen to distract from the phenomenon. In the days before Christmas, pirates around the globe received their gifts early when DVD screener copies of some of the hottest movies began leaking to the Internet. One of those was the Quentin Tarantino movie The Hateful Eight, which appeared online several days before its theatrical debut. There can be little doubt that Tarantino and his associates went into meltdown behind the scenes but its taken until now for a key member of the team to speak publicly on the topic. In a guest piece published in THR, Richard Gladstein, president and founder of FilmColony and producer of The Hateful Eight, addresses the issue of online piracy. Noting that his movie has now been illegally downloaded more than 1.3 million times since Christmas Day, Gladstein smoothly ignores CM8, the group that placed his content online. Instead the producer finds a much broader scapegoat – Google. “Google and YouTube have the ability to create a vaccine that could eradicate the disease of content theft. But to the millions of us who watch as our works are stolen over and over and over and over again, millions and millions of times, Google is at best offering us an aspirin, and at worst, ignoring the disease,” Gladstein writes. For someone on the sharp end of one of the most controversial leaks of recent years, Gladstein speaks calmly. However, his criticism of Google is not new among filmmakers yet still manages to feel misplaced. Gladstein paints a picture of a giant corporation determined (if only through neglect) to ignore the plight of creators everywhere, while throwing up roadblocks to deter them from protecting their work from piracy. How? By throwing up a ‘fair use’ smokescreen. “‘Fair Use’ is an important exemption and distinction to copyright law. It permits non-copyright owners to engage in analysis, criticism, and parody of copyrighted material,” the producer concedes. Gladstein says the distraction created by Google centers around the recent announcement that it will offer legal protection to four videos which all utilize copyrighted works but in classic fair use scenarios. If you’re struggling to see the link between supporting fair use and ignoring piracy you’re probably not alone, but Gladstein feels he’s onto something. “There is no way that the uploading of entire programs and movies to YouTube and other video hosting sites falls under ‘Fair Use.’ What Google and other search engines are doing when they direct a user to those files is aiding and abetting criminal activity,” he explains. If that is indeed Google’s intention, it could be argued the company is failing miserably. The issue of online piracy is persistently and widely documented and is rarely out of the headlines. However, Gladstein’s criticism of the search giant arrives at an important juncture in the piracy debate. On the last day of 2015, the U.S. Government launched a public consultation to evaluate the effectiveness of the DMCA’s Safe Harbor provisions. Among other things, the consultation will address the key points raised by Gladstein in his attack on Google. 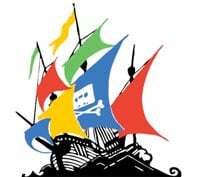 On one side, Gladstein and other like-minded individuals will argue that the takedown provisions of the DMCA are cumbersome and outdated, and that companies like Google hide behind the law in order to take as little responsibility for piracy as possible. On the other, service providers and advocacy groups will raise concerns over DMCA notice abuses that can stifle free speech and restrain fair use. In the meantime, however, Gladstein simply calls on Google to act with respect. “All I ask of Google is that they show respect for all creatives and copyright owners and not infringe on the gift of what we already own – the legal right to share our work with the public in the way we choose, at the time we choose, and allow all crews and financiers to receive the financial benefits they rightfully deserve,” Gladstein. Since the day of its leak, Google has been removing thousands of links to the movie The Hateful Eight from its search results. Some might argue, what more can it do? Hollywood has that answer – stay tuned.